On the night of Thursday November 16, Dr. Jordan B. Peterson was invited to campus by Young Americans for Liberty and the Center for the Study of Liberal Democracy. Peterson’s topic was political indoctrination on college campuses. 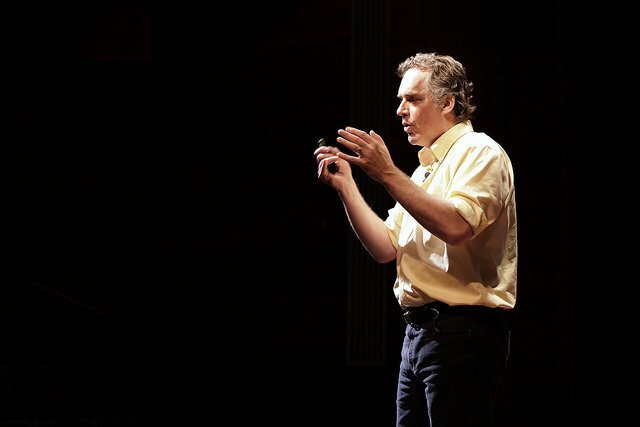 For those new to Peterson, he is a professor of psychology at the University of Toronto. Peterson rose to fame in the past year for opposing Canada’s Bill C-16, which added gender expression and identity as protected classes. 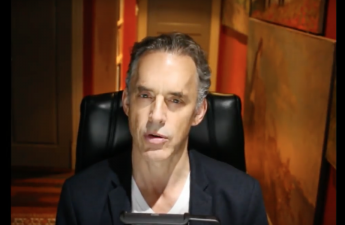 Peterson issued a series of YouTube videos critiquing the bill on grounds that it compels speech. Peterson quickly skyrocketed to YouTube fame and now has over 275,000 subscribers and 12 million views. Peterson’s presence elicited more than 300 people, all packed into an Educational Sciences lecture hall with many having to stand. A few waitlist members were denied entrance because the lecture hall had overflown. 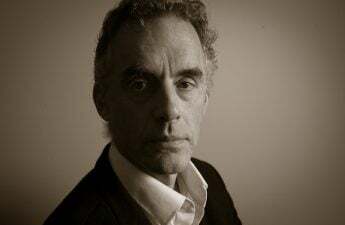 Peterson ended up speaking about the mythological and historical context of the current postmodern and neo-marxist schools of thought, both of which he is highly critical of. Critics of Peterson dismiss him for being “transphobic” and for hiding behind the banner of free speech to promote a hateful agenda. I would contest that this couldn’t be further from the truth. Dr. Peterson is a well-read, intelligent, rational professor who takes psychological schools of thought very seriously. He is anything but incendiary and speaks the truth the best way he sees fit. His critique of Bill C-16 was that he didn’t want to be forced to sometimes use arbitrary pronouns with the threat of the government penalizing people for not doing so. Compelled speech is unconstitutional in the American tradition because we have a strong inclination toward negative liberty. We do not want to be forced to do things that the government tells us to do because we believe that the government may be wrong. To account for this, we allow individual rights to not be infringed as much as possible, and we believe that is the best foundation for government. There is no greater minority than the individual. We believe that to protect individual rights is to protect minority rights. It is only in the free exchange of ideas in which truth can be sought. A government monopoly on truth with the threat of the barrel is not a good way to reach ideological consensus. This is why Peterson objected to the bill, not on American historical grounds, nor because he is transphobic, but on its philosophical underpinnings. My goal in bringing him to campus was to get students of opposition to legitimately consider counterarguments to their beliefs and weigh them as rationally as possible. I think a good amount of students did. In addition, it is in my opinion along with other right-leaning pro-liberty students, that libertarian and conservative schools of thought are not given proper consideration on campuses across the country. There is a huge side of truth to be found on the right just as there is on the left, and we should not dismiss others opinions due to its horizontal location on an imaginary political axis. Rather, we should take the time to thoughtfully consider each other’s ideas, weigh them considerably and meet in the realm of truth. Without the right to balance the left and the left to balance the right an imbalance of power results in the obfuscation of reality. We should be hungry for opinions and use our god-given intellect to asses them. We should not be as dismissive as we currently are. 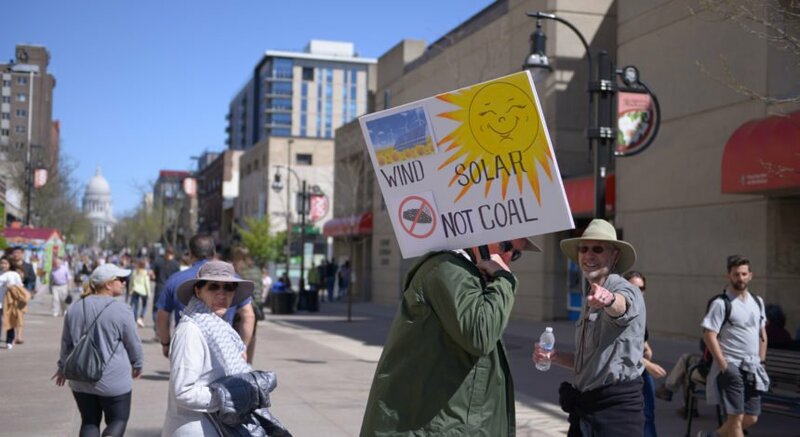 I truly believe we can end the climate of polarization and enter a new period of enlightenment, or sanity if you don’t want to be so drastic. My goal in bringing Peterson was to bring a counterweight to the dominant ideological schools of thought on this campus so they could be considered carefully and push us towards the direction of truth. You may not agree with what Peterson says but if you want to strengthen your intellect and arguments, you should take the time to hear him as well as the rest of us. Tyler Brandt ([email protected]) is a senior studying political science. He is also president of Young Americans for Liberty.